Sally, Milton, and March Avery in Vermont, 1938. Photograph by Consuelo Kanaga. Milton Avery (American, 1885-1965). Thoughtful Swimmer, 1943. Watercolor on paper, 30 3/4 x 22 1/2 in. Private Collection, New York. 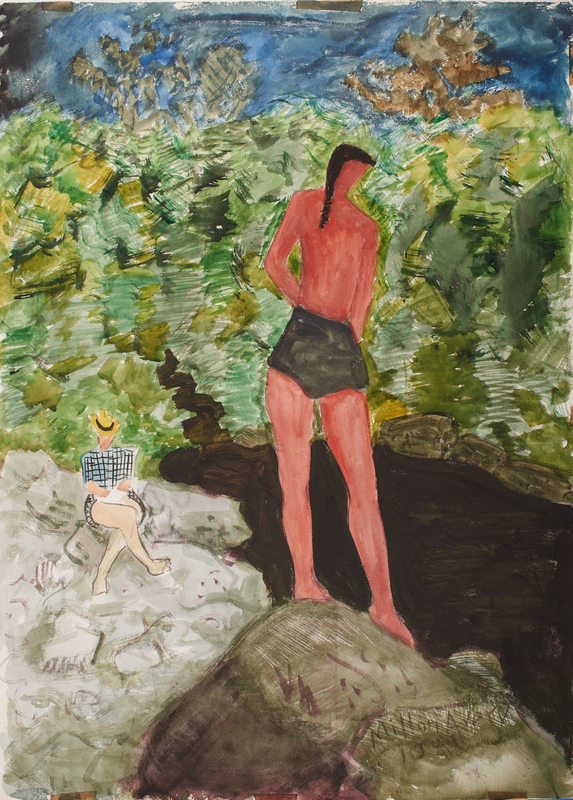 © 2019 The Milton Avery Trust / Artists Rights Society (ARS), New York. Photo: Paul Mutino. Sally Michel (American, 1902-2003). 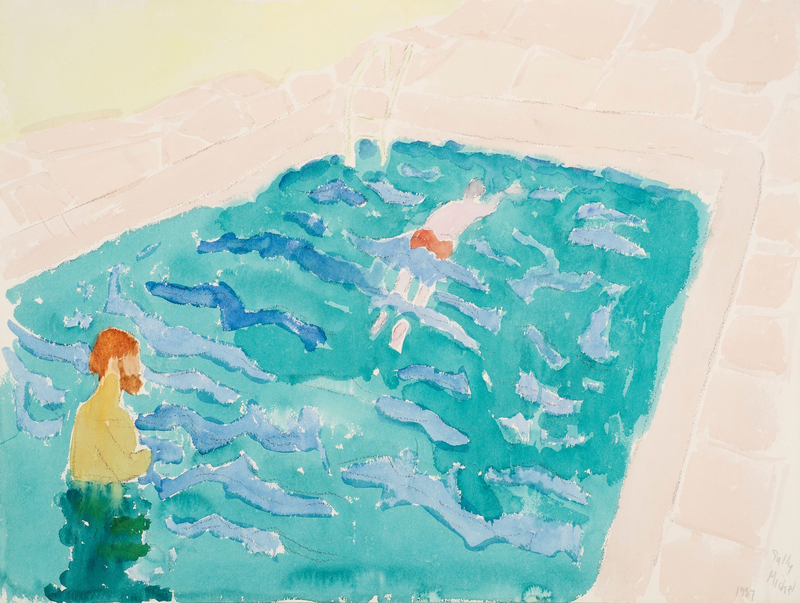 Swimming Lesson, 1987. Watercolor on paper, 18 x 24 in. The Milton and Sally Avery Arts Foundation, New York. 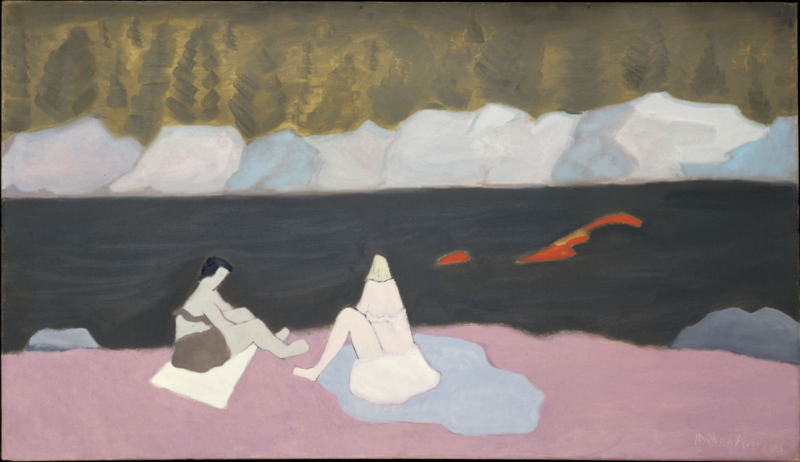 © 2019 The Milton Avery Trust / Artists Rights Society (ARS), New York. Photo: Paul Mutino. Milton Avery (American, 1885-1965). Swimmers and Sunbathers, 1945. Oil on canvas, 28 x 48 1/4 in. The Metropolitan Museum of Art, Gift of Mr. and Mrs. Roy R. Neuberger, 1951 (51.97). 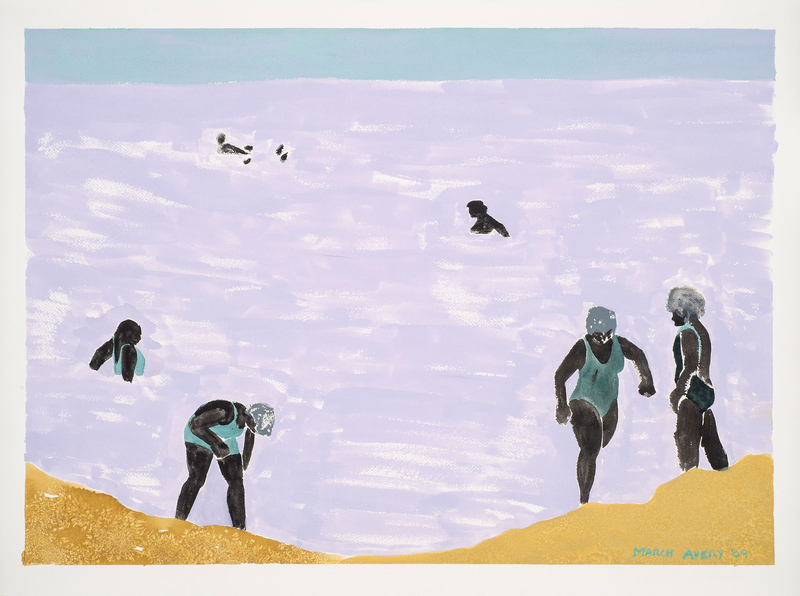 © 2019 The Milton Avery Trust / Artists Rights Society (ARS), New York. Image copyright © The Metropolitan Museum of Art. Image source: Art Resource, NY. As it was for many artists before and since, summertime was a moment of heightened creativity for the Averys. Escaping from their hectic lives in New York, the three artists were inspired by these bucolic and sometimes unfamiliar settings. The art they produced—including oil paintings, watercolors, drawings and prints—was filled with the splendor of natural phenomena and the sociability of family, friends, and acquaintances; the work ranges from the representational to the nearly abstract. Summer with the Averys [Milton | Sally | March] will be an opportunity to discover not only what Rothko referred to in 1965 as Avery’s “repertoire . 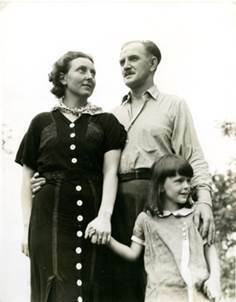 . . his wife Sally, his daughter, March, the beaches and mountains where they summered,” but to observe the creative interaction of this exceptional family of artists. Organized by Kenneth E. Silver, Silver Professor of Art History at New York University and Bruce Museum Adjunct Curator of Art, assisted by Stephanie Guyet, Bruce Museum Zvi Grunberg Fellow, 2018-19, the exhibition will be accompanied by a scholarly catalogue, featuring full-color illustrations of all the works in the show. Educational programming will include lectures and an audio guide. The exhibition closes on September 1, 2019.